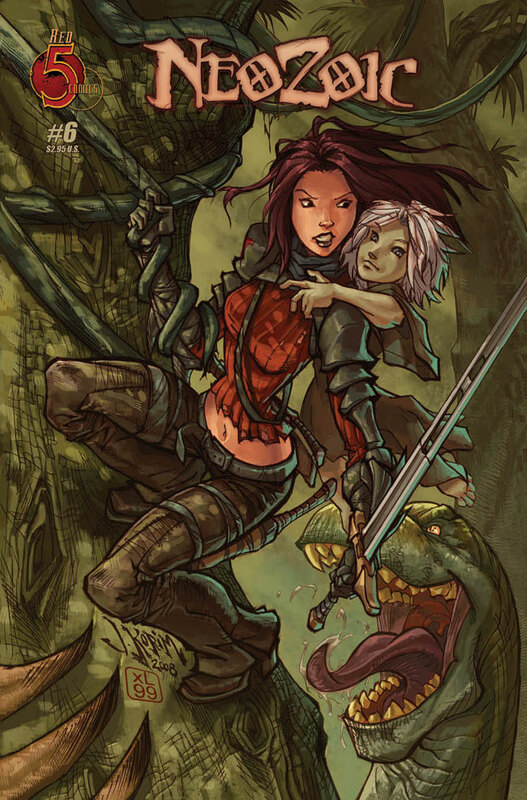 Red 5 Comics has sent Major Spoilers the cover images and solicitation information for titles shipping in August 2008. 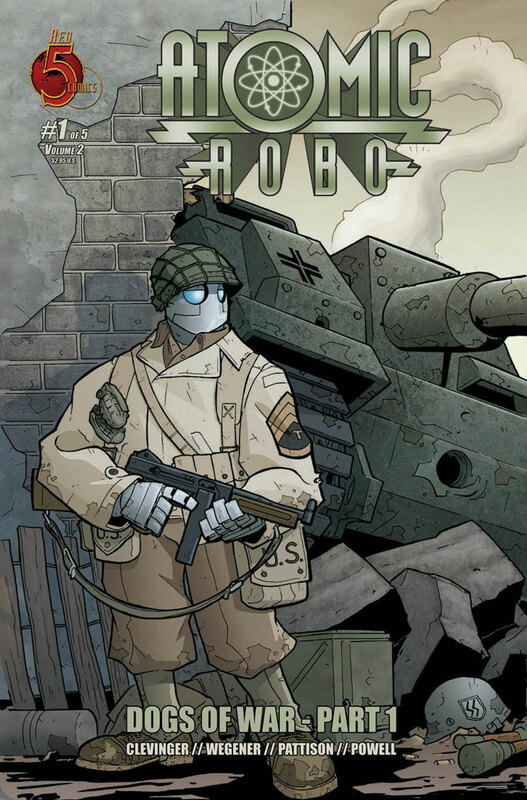 This month features the return of my favorite Red 5 Comics characters – Atomic Robo! ATOMIC ROBO is back! And this time, it’s war â€” THE DOGS OF WAR! June, 1943: Nazi super mechs threaten to halt the Allied Invasion of Sicily before it even begins and only ATOMIC ROBO can stop them. But does he stand a chance against Hitler’s personal commando, Otto Skorzeny? And what connection does HELSINGARD have to these new weapons? Lilli and Pax escape the dinosaur hoard into an ancient village at the tops of the trees where they find a clue to unlocking the mystery of the little girl and the reptile attacks. Meanwhile, the scattered Predator Defense League looks to find allies in their fight against the Talpid occupation. Previous ArticleIs This John Connor’s Wife?